The V TRACK is made of Aluminum with no welds to crack or break which helps fight against rust. The VTRACK is 18ft 3 - 6ft section. 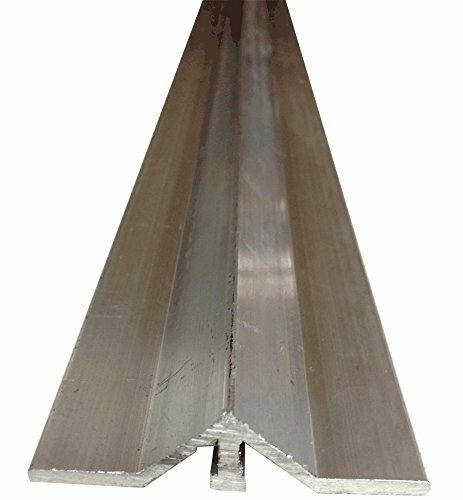 long x 3" wide and made from ,125 Struded Aluminum with a 90° angle and re-enforment. It is made with a rounded top for easy vehicle passing,eliminates noise and reduces friction on the tires of passing vehicles. Single element design. Light and strong for easy handling. it comes in 18ft 3 - 6ft section and will work with all types of "V" grooves. If you have any questions about this product by L.A. Ornamental, contact us by completing and submitting the form below. If you are looking for a specif part number, please include it with your message. Pull Push 24" Handles for Entrance Entry Front Door, Interior and Exterior, Satin Finish, Storefront Door, Commercial Entry Gate and Office Door, Ladder Style.